If exceptional had a name, it would be Champagne Alfred Gratien . Alfred Gratien champagnes are handcrafted for guaranteed quality and consistency. A few miles away from Epernay’s bustling town center, deep in the heart of a Champagne vineyard, are the Alfred Gratien champagne cellars. It was here, on Rue Maurice Cerveaux, that Alfred Gratien set up his business and created his first cuvées in 1864. For over a century and a half, Alfred Gratien champagnes have remained a family affair perpetuated by the expertise and know-how of their founder. Upon entering the courtyard, turn left and throw open the two heavy wooden doors. Walking through the doorway and into the cellar is an emotional moment in time. 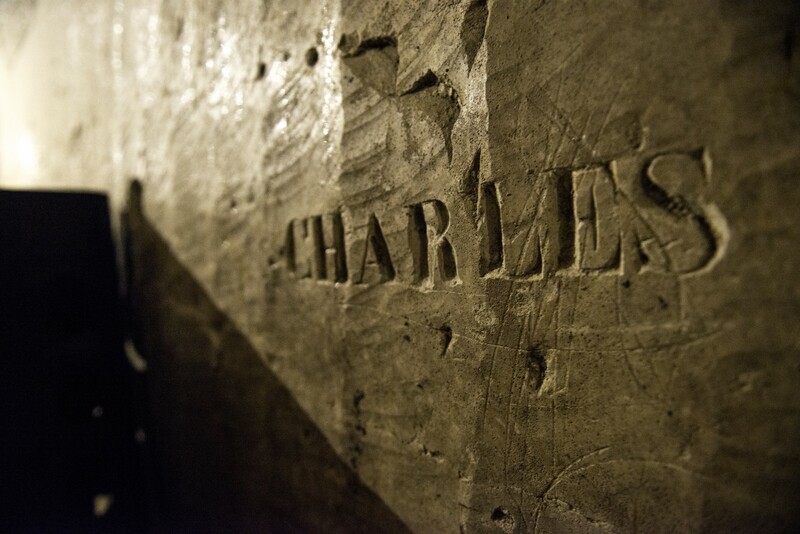 This is the beginning of a journey into the heart of the story and heritage of champagne. 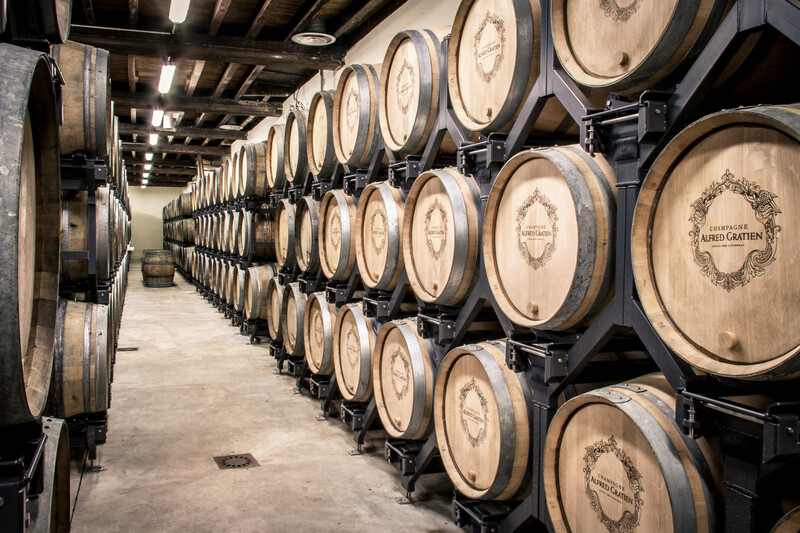 As you walk through the cellars, you will discover close to 1,000 barrels neatly packed away in straight stacked lines, the essence of the Alfred Gratien house. The precious wood honors the house’s roots, as the champagne here has been vinified in oak (‘sous-bois’) since its very beginnings. 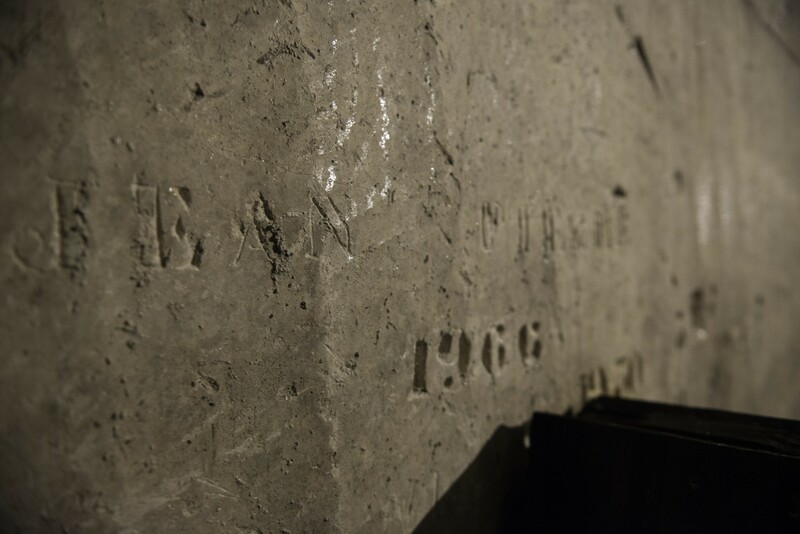 In the center of the cellar is a portrait of Alfred Gratien, a reminder of where this prestigious champagne comes from and its intimate bond with the man who created it. The house’s legacy relies on its cellar masters who were taught a trade that has been handed down from father to son for four generations now. Gaston Jaeger, the earliest first descendant, took on the role in 1905. In 1951, he passed the craft on to his son Charles, who in turn paved the way for his son Jean-Pierre to take over in 1966. Nicolas joined his father in 1990, with the pair now having worked side-by-side for 17 years. This wonderful collaborative effort is a continuation of the inherited know-how that has been passed on for nearly a century. In 2007, Nicolas became the cellar master for Alfred Gratien Champagne in Epernay. He embodies the living memory of the Alfred Gratien house and its grand cru champagnes. 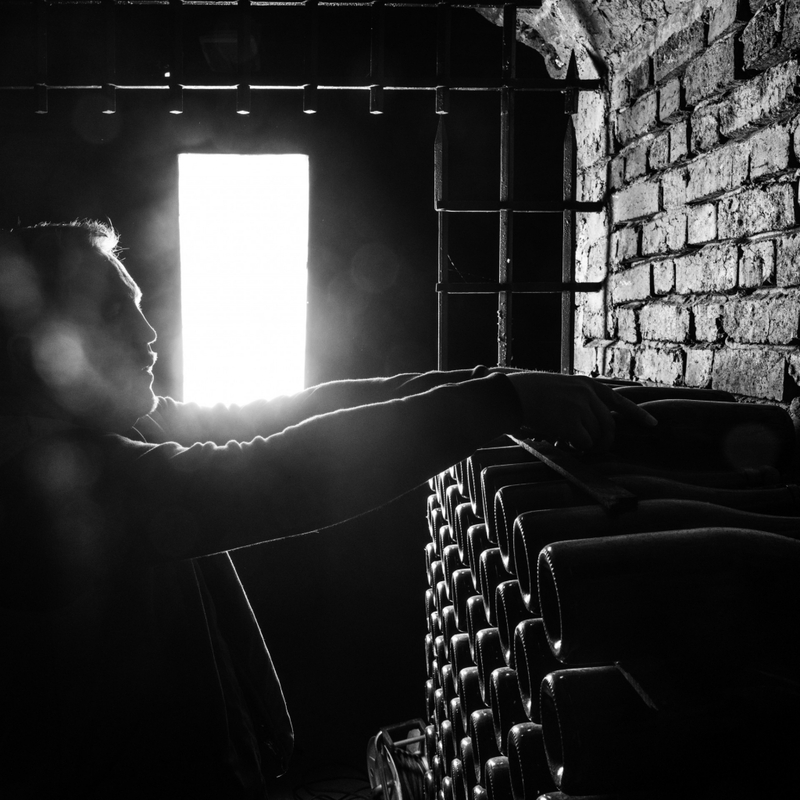 Born in 1972, Nicolas Jaeger had no other desire than to follow in his father’s footsteps and those of his descendants by becoming the cellar master at Alfred Gratien. Nicolas Jaeger grew up amidst the vineyards spread across the regions of Reuil, his father’s birthplace, and Mesnil-sur-Oger, where his mother’s family owned a few vines. Nicolas Jaeger worked alongside his father, learning the nuts and bolts of the trade: handling the barrels in the cellar, cellar maintenance, and the quest for the best suppliers. Nicolas was fascinated by the wood barrels. Working with wood requires patience and Nicolas understands how to nurture his cuvées and wait for them to emerge. Today’s safe-keeper of the Alfred Gratien style talks of a certain mimicry. I feel confident because I’m simply repeating the techniques shown to me by my father.